But such idealism might be waning as Egyptians confront the worst outbreak of religious violence since Hosni Mubarak was swept out of power Feb. 11. 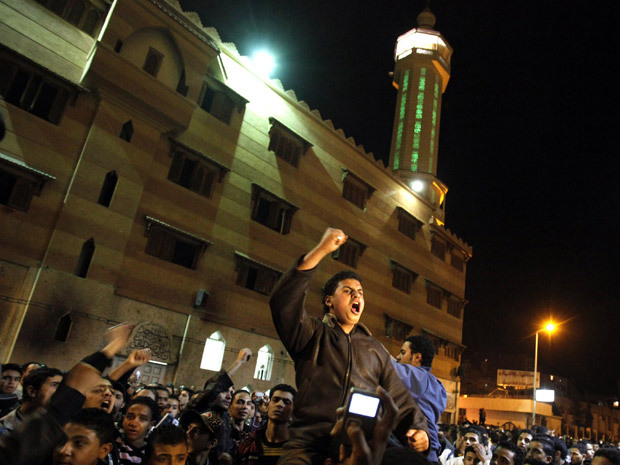 The deaths of 13 people in clashes in Cairo between Muslims and Christians late Tuesday have prompted calls for religious tolerance and raised the prospect of a deepening sectarian divide after a post-revolution honeymoon period. 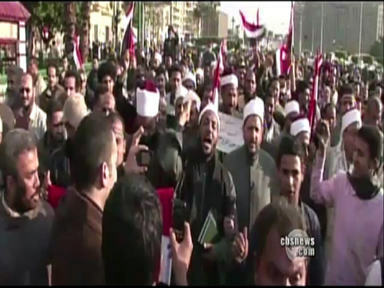 Street battles broke out after Copts set up roadblocks in major arteries to protest the destruction of one of their churches. Security is scant in this metropolis of 18 million, where the military-controlled government is still groping to find a way to tamp down crime with no functioning police force. 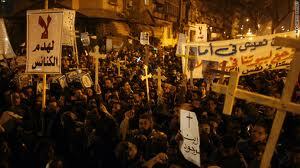 Although clashes between Muslims and Christians are not new in Egypt, they often take place far from the capital. That the overnight violence continued for hours near the heart of Cairo is bound to add to concerns among Christians that weeks of tumult in Egypt have left them particularly vulnerable in a country that is overwhelmingly Muslim. Officials said that all of those who were killed died of gunshot wounds and that 140 others were injured. Copts said that all of the victims were Christian adherents, but other reports said that as many as five Muslims were killed. SO MUCH FOR THE OFTEN REPEATED CLAIM THAT THE EYPTIAN MILITARY CAN PREVENT THE FUNDAMENTALISTS FROM TAKING CONTROL OF EGYPT. AS THE SMALL NUMBER OF SECULAR LEFTISTS IN EGYPT IS SWEPT OUT OF THE WAY BY THEIR MASTERS, THE MUSLIM BROTHERHOOD, EGYPT PLUNGES FULL SPEED AHEAD INTO A REINCARNATION AS AN FUNDAMENTALIST ISLAMIC STATE.